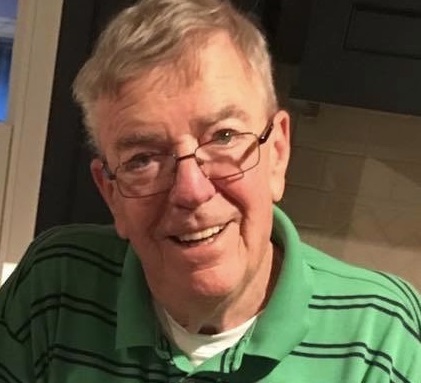 William Edwin Bierlin, Jr., of Doylestown Borough, died March 14, 2019, of a stroke at Pine Run Health Center. He was 78 years old. William was the beloved husband of Elizabeth (Nee Keidel) Bierlin with whom he had shared 50 years of marriage. Born in Philadelphia, William was the son of the late William Edwin and Anna Woolsey Bierlin. William attended Germantown Academy for 11 years and graduated from Ambler High School. He earned his B.A. and M.B.A from Wake Forest University in Winston-Salem, North Carolina. Though the company changed names (Hopper Soliday, W.H. Newbold’s, Fahnestock, Oppenheimer), William’s career spanned 48 years working for the same brokerage firm. He retired as Senior Vice-President at Oppenheimer and was formerly the Chairman of W.H. Newbolds. He was an active alumnus of both Germantown Academy and Wake Forest, where he was was a former member of the University’s Board of Visitors. William was a member of The Pennsylvania Society, Doylestown Country Club, and a Paul Harris Fellow (and former President) of Warrington Rotary. He was a former member of Philadelphia’s The Union League, Vespers Club, and Buckingham’s Lookaway Golf Club, which he was also a Founder. First as a child then as an adult, William spent almost 70 years vacationing in the Lakes Region of New Hampshire. William enjoyed boating and fishing at his second home on Lake Winnisquam where he always welcomed friends and family. In addition to his wife, he is survived by his son, William E. Bierlin III (Brianne); a daughter, Carolyn Cerasi (Domenic); a granddaughter and a brother. Memorial contributions in William E. Bierlin, Jr’s name may be made to Warrington Rotary Club Foundation, 1574 Easton Road Suite 102, Warrington, PA 18976 or Squam Lakes Natural Science Center, P.O. Box 173, Holderness, NH 03245.